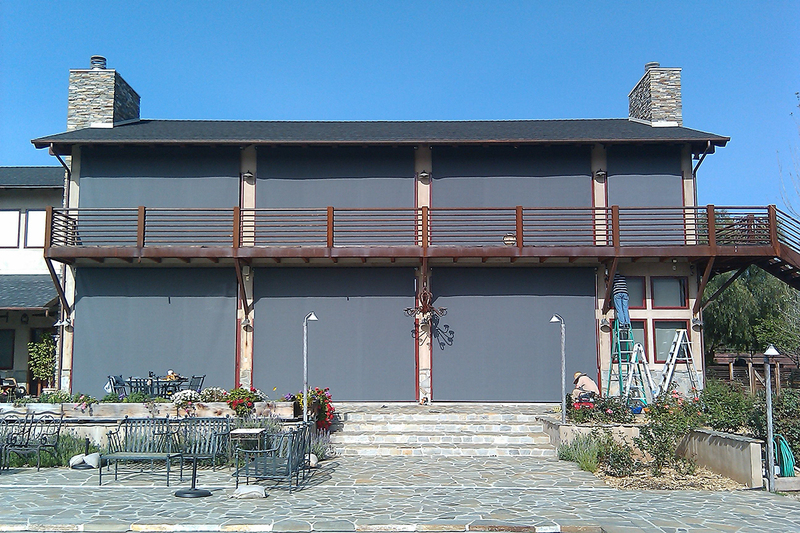 Mermet | Exterior Shades | Solar Heat Gain Coefficient - Window Products Management Inc. 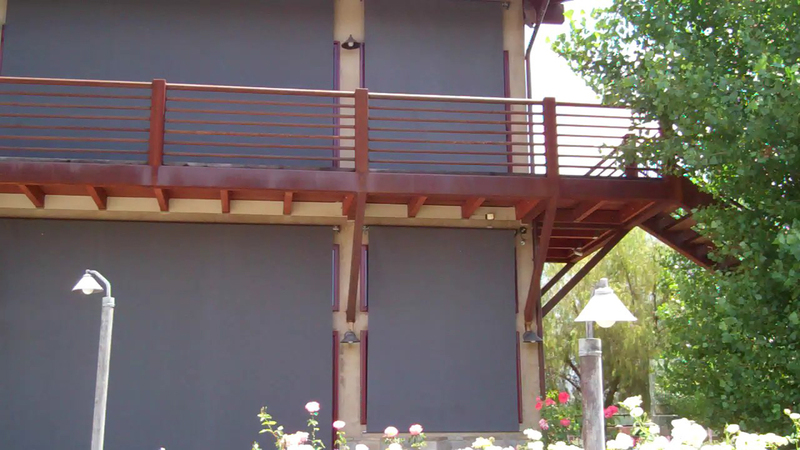 Window Products Management (WPM) designed and installed this exterior-mounted, cable-guided rolling shade application on a ranch estate in upper Ojai in order to reduce a high solar heat gain coefficient. 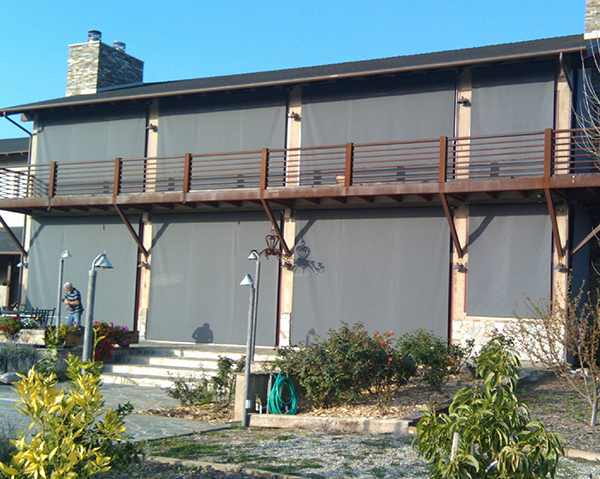 WPM also installed motorized, reflective roller shades on the interior of this home, but the client was still experiencing too much solar gain because they had a very high glass to floor space ratio on the west side of the building. This is a secondary residence and when the family was away for several days, the exposed, west facing glass was collecting solar energy and converting it to heat to a degree where the HVAC system could not keep up. The dark material selected is now absorbing the heat outside the glass where it then convects away and into the environment. It is held in place with guide cables that are on either side of each shade’s bottom hem-bar. The shades are easily rolled up when the home is in use. and open on others for egress.